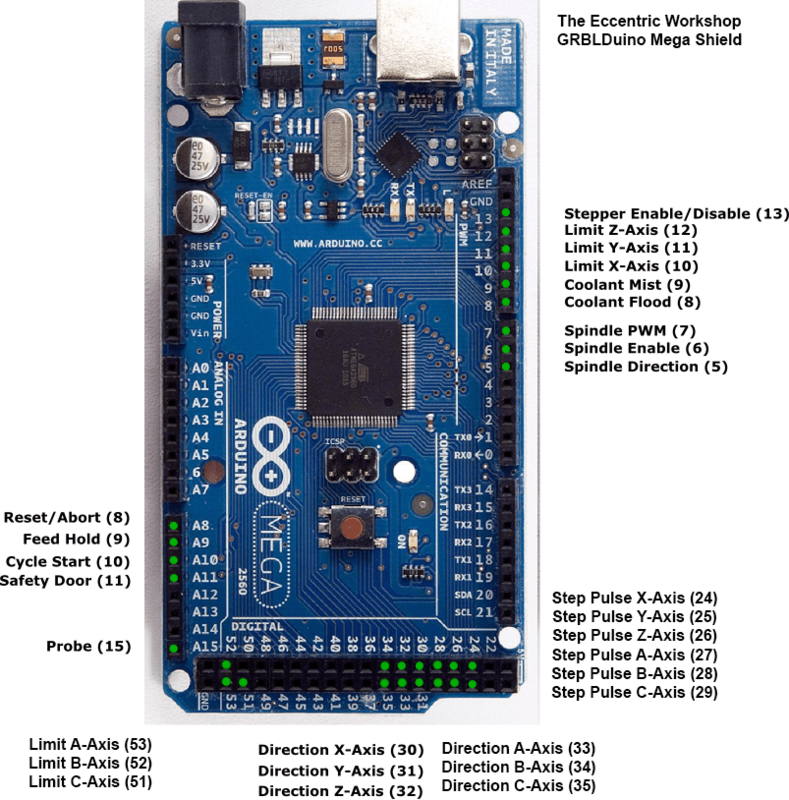 Fits on Arduino Mega (4.79″ x 2.90″). 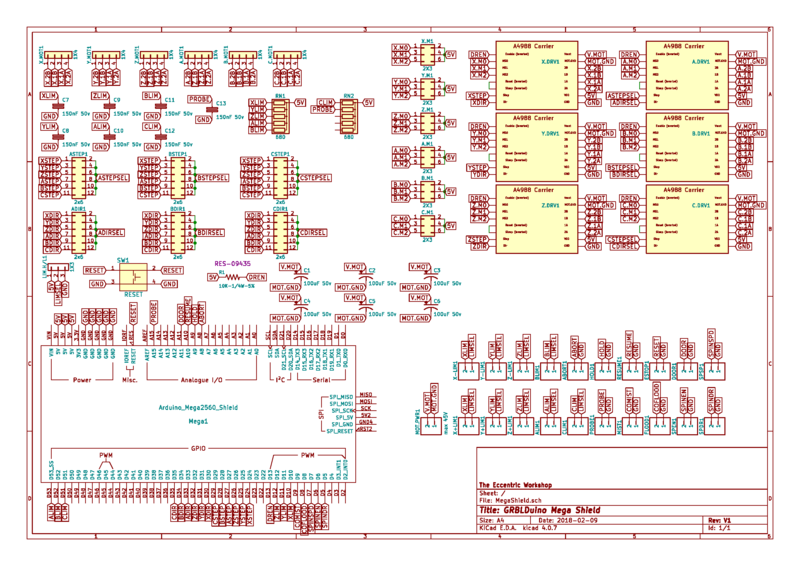 All GRBLDuino are based on the Pololu DRV8825 stepper motor drivers and are compatible with all pin-compatible equivalents. + and – Limit switches for each X, Y, and Z axis (only one per A, B, and C). 6 independent (X, Y, Z, A, B, C) axes or 3 independent (X, Y, Z) and 3 clone (A, B, C) axes. The machine connections are listed in the image below. I anticipate these being available for sale through a few outlets beginning in early April. Kits will sell for around $25 shipped in the US and assembled boards will sell for around $45 shipped in the US. 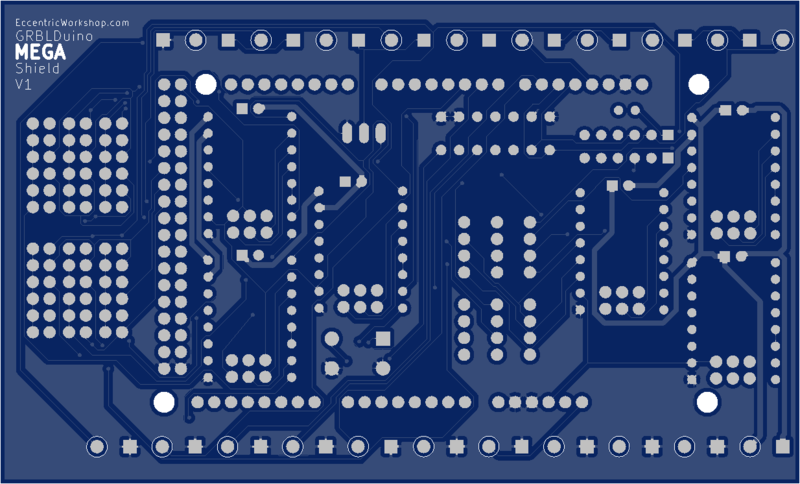 Once available, the best price will be at the Eccentric Workshop store, but they will also be on Tindie and eBay. Version 2 will likely drop full 6 axis support (back to 4 for reduced BOM costs) and introduce relay drivers on the coolant and spindle enable lines to control external devices. 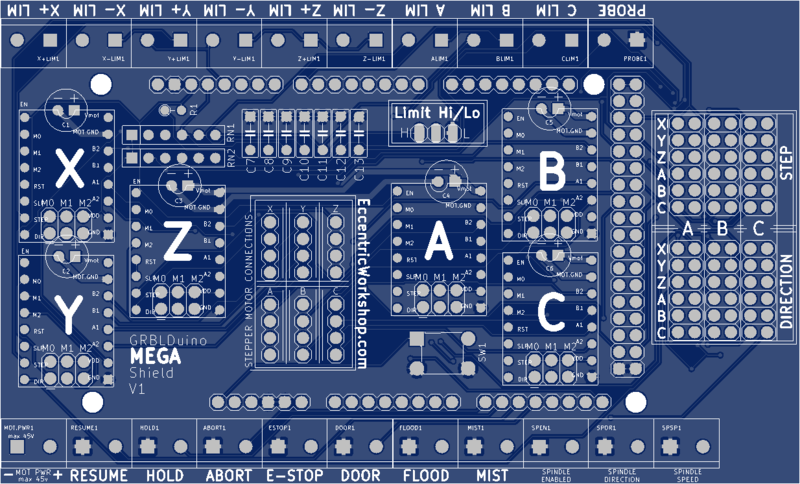 A version with the Arduino Mega integrated with the shield is also in the works.